It’s been documented that horses have at least 17 distinct facial expressions, similar in response to a human' s 27. Horses can clearly interpret another horse’s facial expressions, due to an ancestral throwback from living among the herd. What’s even more fascinating is it’s been determined by research that horses can read our facial expressions and even memorize a face. 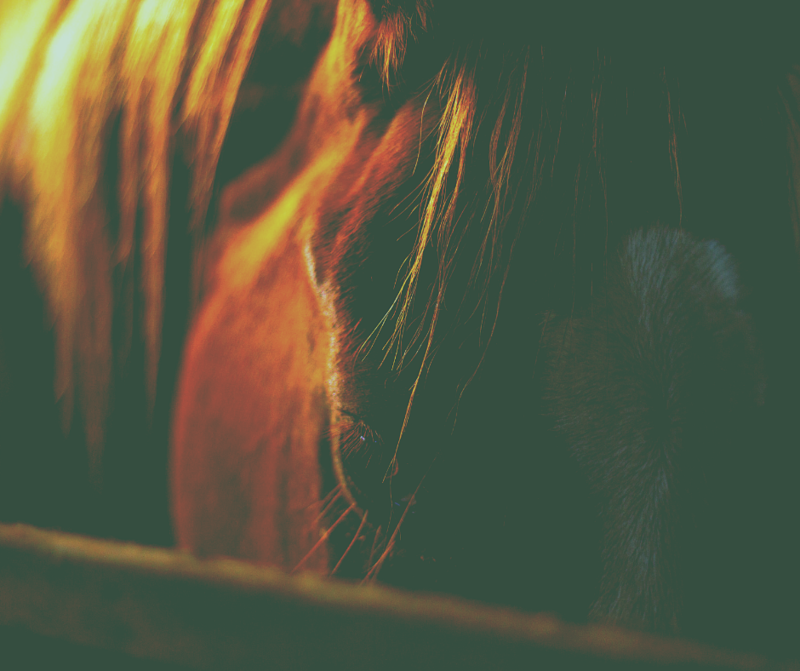 If a horse has been abused or had a negative experience with a person, seeing their face can trigger anxiety or tension—which is understandable. However, if the horse identifies only positive experiences with you, they are more receptive to a trusting relationship. If a person is nervous around a horse, they know it—you can’t hide or fake confidence. 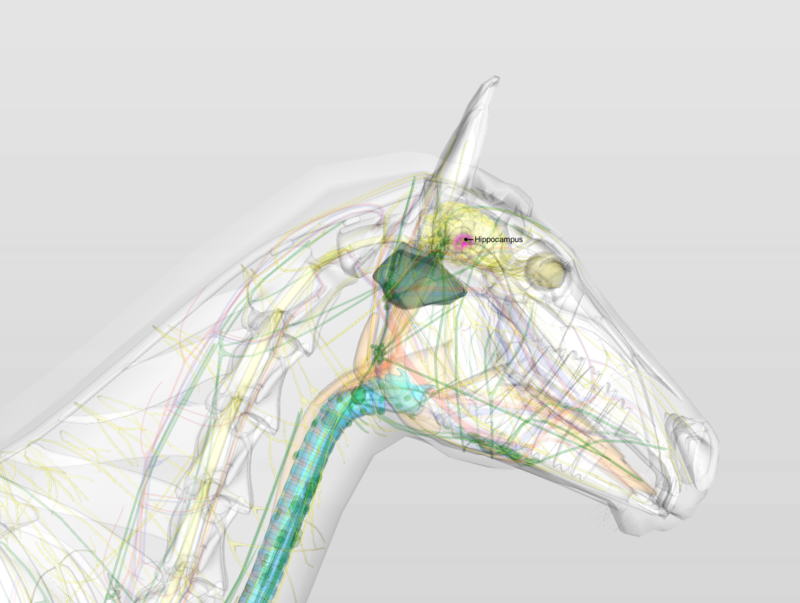 Horses detect nervousness in humans and it’s worth noting that equines visually process negative emotions from the left eye (right brain hemisphere). While all this is factual and scientifically based research with a lot of visual cues and information—it’s important to just be in a space with a horse using your own intuition, something that’s innate and difficult to teach. Although if you keep an open mind and heart, the horse will teach you how to understand them and build a trusting relationship. Depression in horses can manifest itself in many forms and the root cause isn’t always easy to determine. Every horse is an individual and processes their life experiences and situations in different ways. Especially rescue horses or those that have been neglected and experienced trauma at the hands of humans. Unfortunately, not every horse can be rehabilitated or make a full comeback—often these horses end up severely depressed and/or exhibit aggressive behavior. It’s always advisable to have a veterinarian examine a horse, especially if they seem off in any way. 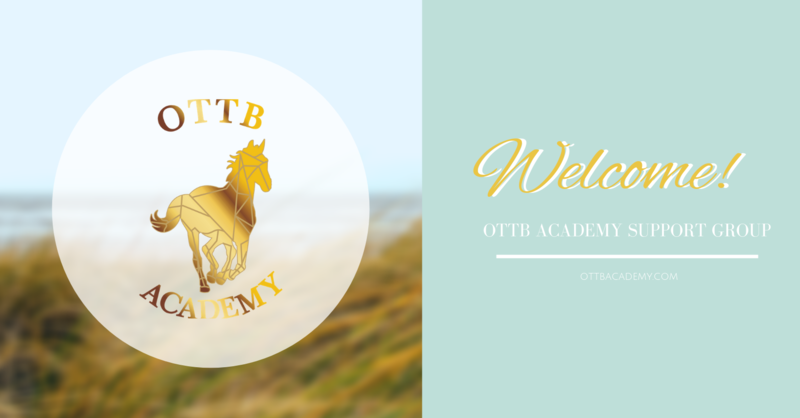 In cases where a horse has been severely traumatized, it is recommended to contact an equine behaviorist professional to guide you through the rehab process. And if you’ve even taken on a case like this, blessings to you! For horses that are exhausted due to being over-worked, fatigue can look like depression—or lead to it. It’s critical for a horse’s overall well-being to have adequate time off from training or work. This isn’t just for physical wellness, but to promote emotional health too. Many times emotional and physical wellness are interconnected, so a holistic approach is a good way to start assessing. "Pictures of a horse a) in a withdrawn posture, b) standing non-resting and c) resting. Withdrawn posture is characterized by a similar height between the horse’s neck and back (the nape – withers – back angle approximately 180°) and a stretched neck (obtuse jaw-neck angle). This posture is distinguished from postures associated with observation of the environment (for which the neck is higher) and resting, when eyes are at least partly closed and the horse’s neck is rounder , . 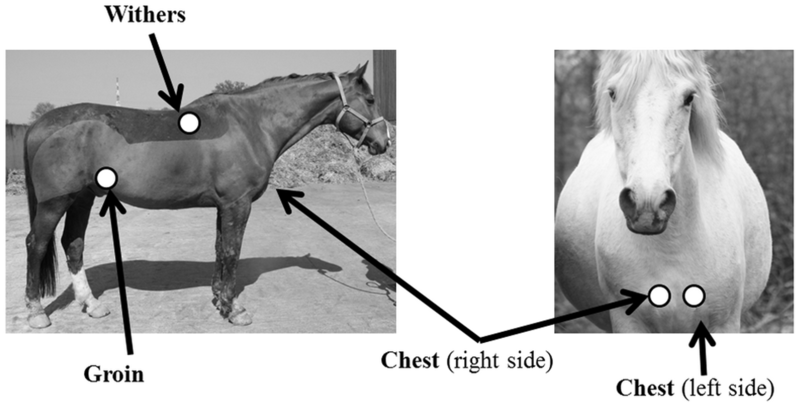 Note that the restricted size of the box (3 m * 3 m) prevented the authors from taking a picture of the whole horse displaying the withdrawn posture, as we chose to use the same lens in order to limit shape distortion between pictures." Some basic things to consider for a horse who is withdrawn but not completely shut down is to examine their life situation. This may sound simple, but sometimes we overlook things. Does the horse have adequate turn-out time? Being out of the stall is important—time in the paddock has many benefits: movement (increased range of motion), digestion improves because the horse is moving about and foraging on grass or hay. Immunity increases due to movement and socialization is essential for a horse. Is the horse being bullied? If your horse is turned out in a herd of more dominant horses and she/he is at the bottom of the hierarchy with no friends and/or being bullied—this can really have a negative impact on the horse. Consider moving them out of that group and see if their mood improves. Does the horse seem sour or anxious undersaddle or during any training? When a horse doesn't want to train, it's obvious something's going on. It could be pain, it could be past trauma, or it could be sourness due to boredom from a predictable training routine. If the horse is despondent or seems depressed when a certain person comes around that could indicate an issue. Investigate other methods of interaction, especially if the horse is defiant during training. And certainly, explain to the vet what's going on. What significant changes have occurred? When there is pain, often times unaddressed pain—a symptom can show up in the horse as an emotional or behavioral response. For example, did you know back pain has been linked to depression in horses? Chronic pain impacts cognition in humans and animals. It can manifest as; short attention span, learning difficulties, memory impairment, or diminished speed in processing information. Dealing with chronic pain daily can result in a negative mood and poor quality of life if not treated. Boredom in horses can lead to negative behaviors and habits. Some horses require a change in their routine to keep them happy and motivated. For horses that are kept in stalls, either with injury or lack of turn-out—boredom can occur. To avoid potential destructive behaviors or depression, the use of equine safe toys like licks, hay balls and other sources of entertainment can be useful to keep spirits high. Typical effects of stress will dissipate over a relatively short period of time once the origin of the stressor is removed. Behavioral signs of stress can look like: cribbing, pawing, weaving, repetitive gestures. Stress and anxiety can run parallel with one another. Horses who are “hot” or nervous can carry their head high (sometimes using it as a sideways battering ram), flared nostrils, tail dock up, or exhibiting anxious, nervous or stressed behavior. While it’s true some breeds run hotter than others, and all horses are prey animals, any horse is susceptible to stress. The issue is when it becomes prolonged, it can cause serious issues with health and behavior. Sometimes chronically stressed or hotter horses lose weight rapidly and are considered hard keepers. While sometimes it's an underlying issue of ulcers (which over 80% of ex-racehorses have)—other factors are at play. When a horse is anxious or nervous, they fire up the neuroendocrine system and use copious amounts of energy—burning through fats, carbs and protein. In regard to racehorses, unaddressed tension in the muscles leads to a decreased range of motion, which leads to more stress and anxiety. Especially since stress is very taxing and detrimental to the nervous system. Image being in an environment where you constantly felt stressed, anxious and nervous? The logical progression is ulcers, weight-loss, burnout, and not feeling so well. Episodes of colic often follow. PTSD is unique in that it has long term effects on those who experience it. Clinical studies have shown that in both humans and animals who experienced trauma and suffer from PTSD experience physical changes in the hippocampus region of the brain. The hippocampus is involved in learning, memory and the management of stress. PTSD can trigger a horse in many ways. Because the hippocampus works with medial prefrontal cortex (region of the brain that regulates fear, stress emotional response), PTSD sufferers often have impairments in one or both of these regions. An example of a trigger is a “flashback” of an emotionally traumatic experience. Maybe it was an ex-racehorse stuck in the gate and now they have a fear of small, tight enclosures. Or maybe it was a wild mustang that was rounded up for adoption and had an abusive first encounter with a human. There are so many variables and possible situations but the key is to discover the trigger and patiently, confidently and compassionately work through it with the horse. A traumatized horse and inexperienced or nervous handler is a recipe for failure. De-sensitising or Re-sensitising can be a wonderful approach, but careful attention must be paid to avoid a PTSD triggered response. Setting a schedule and tracking responses while taking detailed notes after training helps assess their rehabilitation progress. Massage is a great tool if a horse allows physical contact. Gentle contact from a trusted person is a great bonding, tension relieving and trust building therapy. You can even add soothing aromatherapy with calming essential oils like lavender. PEMF was first used by veterinarians to heal leg fractures in racehorses. PEMF is a drug-free and non-invasive pain management and healing modality. It has been around for decades and when used properly, it helps restore the positive and negative charges in the cell aiding in the body's natural recovery processes, by relieving pain and restoring cellular function. Microcurrent therapy (light therapy) is a non-invasive and drug-free way to manage pain and help aid in tissue repair by supporting biocurrents which boost (ATP) within the cells—promoting faster healing and decreased pain. Have a veterinarian assess and diagnose the horse to confirm their emotional state isn’t a pain response. Spend time just being with your horse and asking nothing from them other than granting you their company. Let them graze on grass in hand, spend time giving a relaxing grooming session (if they enjoy that) or give them a massage. Try supplements or herbal remedies to help calm emotionally troubled horses or heal internal ulcers or other issues. Play games with your horse, try liberty exercises, use cones, ground poles or a large ball in the arena. Change up the training routine—try something like working equitation to keep undersaddle training fun and challenging. Be sure the horse has ample bedding, fresh water, turn-out time and plenty of good-quality hay. Thank your horse. Show them gratitude and thank them for being in your life. (Yes, even if they were difficult that day). While this isn't a complete comprehensive guide, I hope it helps give a better basic understanding of the animals we cherish so much—and realize, we aren't so different.